SEOUL -- "Kartrider", a favorite PC racing game published by Nexon, will be recreated into a mobile virtual reality game for 5G smartphones under a deal with SK Telecom (SKT), which has diversified a lineup of game and other contents to maintain their competitive edge as a top mobile carrier in South Korea. SKT said in a statement Tuesday that it has signed an intellectual property deal to recreate Nexson's three iconic games -- Kartrider, Bubble Fighter and Crazy Arcade -- into VR games supported by 5G networks. Kartrider, a casual racing game released in 2004, is still popular among teenagers in South Korea and other countries. Because the speed of 5G mobile networks is at least ten times faster than that of 4G networks, it is ideal for transferring large-sized data packets such as VR video files and ultra-high definition video contents. 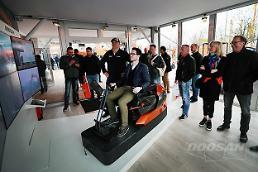 SKT plans to release a 5G VR version of Kartrider this year. 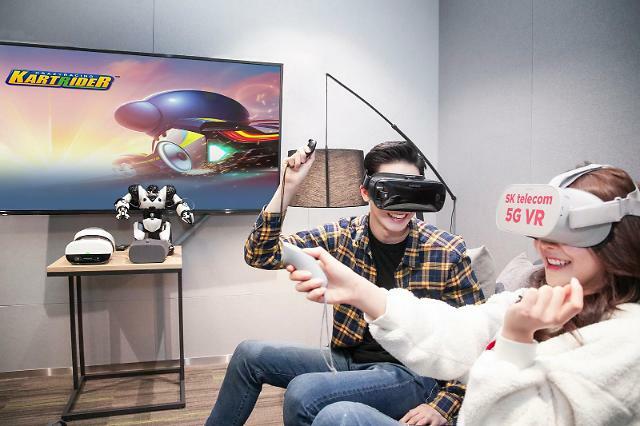 "This cooperation is significant in that top telecom and game companies in South Korea are working together to create an ecosystem of 5G and VR game industries," SKT's 5GX MNO business division head Yang Maeng-seok was quoted as saying. "We are going to introduce a variety of killer contents to customers in time for the release of 5G smartphones." South Korean mobile carriers launched limited 5G services in December 2018 for businesses such as smart factories and contents companies. 5G services for smartphone users would come in March. The deal between SKT and the publisher of Dungeon Fighter Online (DF), a popular multiplayer PC video game, came after Nexon founder Kim Jung-ju and his wife put their stake in Nexon's holding company, NXC, up for sale. NXC controls 47.98 percent in Nexon listed in the Tokyo Stock Exchange and 100 percent in its South Korean branch.